Do you ever wish Math was more fun and games? We have too, and we know most kids out there feel the same. That’s why we’ve collected ten of the best toys and games on the market, all centered around helping to improve math skills. We’ve gathered an array of options appropriate for many different ages. Whether your toddler is just starting to learn their numbers, or you have a little one in grade school working their way through basic addition, subtraction, multiplication, and division, we know that the best way to help kids learn is by also encouraging them to have fun. We think these toys and games do just that, and we hope your family agrees! Our Research team is proud to present you with two new products specifically designed to help more advanced math skills. These games focus on basic math drills, addition, subtraction, comparing numerical values, and differentiating between odd and even numbers. But don’t tell your little ones that--they’ll just think they’re having a good time! Our panel of experts in parents, teachers and child psychologists recently updated this page to include a number of new toys that will stimulate your child's interest in and understanding of math concepts. In addition, product details such as benefits, cost and availability have been reviewed and updated. 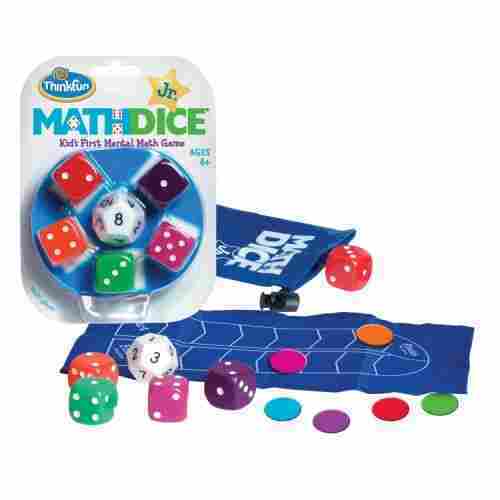 With a very simple gameplay, the Math Dice, Jr. makes for a fun way for kids to practice doing addition and subtraction in their minds. This helps reinforce beginning concepts in mathematics while fostering healthy social relationships. Best way to teach kids math by means of visualization! Counting is a made a game with the tracker that’s similar to a hopscotch diagram or a tic-tac-toe square. Once the dots add up on the die that has been rolled, either advance forward or back! It’s that simple! It all becomes ingrained by saying it, then counting it out. Since the dice is brightly colored, as well, kids will be naturally drawn to them and remain engaged. It is easy to learn and the instructions included are super easy to follow, making it fun to setup and play. These are a great play to strengthen anyone’s math game. 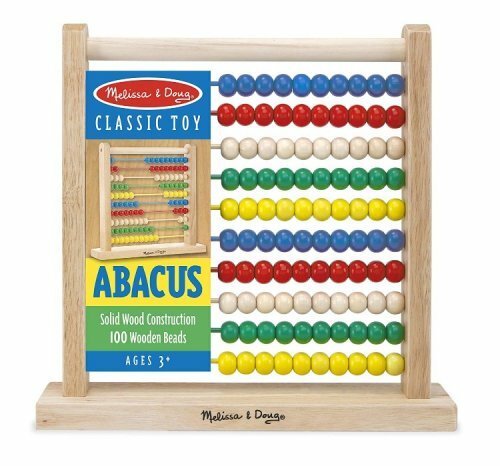 The Melissa & Douglas Abacus is a great tool for teaching kids about basic math operations to develop their numeracy skills while serving to enhance color appreciation and fine motor skills. The abacus is the oldest calculator in the world, able to provide instant and accurate calculations for many purposes. 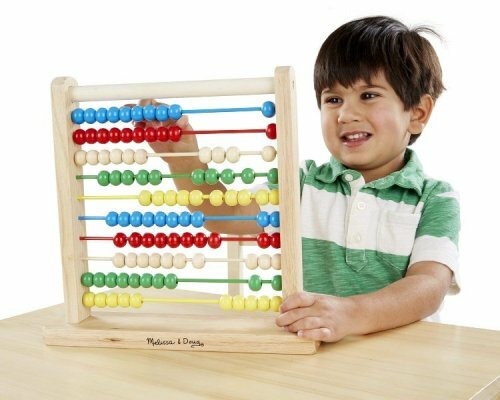 Children will find the Melissa & Doug Abacus to be particularly appealing since it simplifies counting and basic math operations with its color-coded beads. The use of the abacus goes for thousands of years! We know of it’s effectiveness, even if most of us have no clue on how to use one! People couldn’t have been all wrong before the invention of the digital calculator or the I-phone! This will give your a kid a headstart in developing his or her own intelligence when it comes to issues of reason and logic. They can develop an association of numbers and figures with easy to remember colors; and, it will also bring an awareness to the task of sorting. 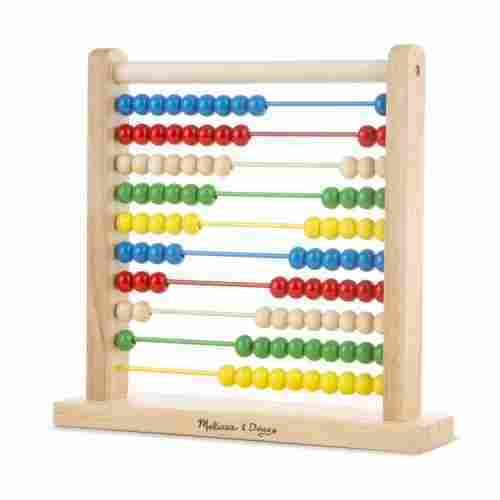 Made of high quality wood, the M&D Abacus can easily stand on a flat surface or conveniently held by your kid. 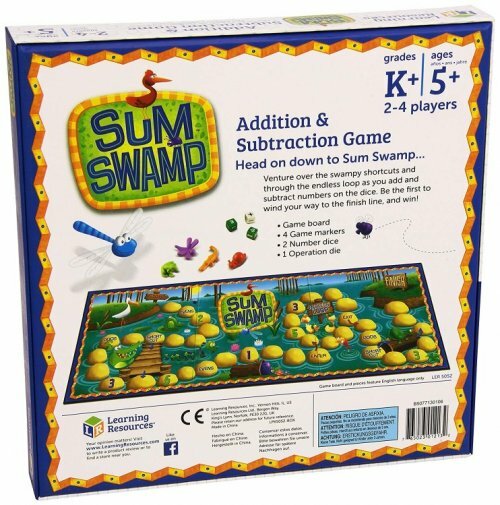 Trek through the Sum Swamp to improve your math skills all while having fun! Choose from one of four cute, colorful game pieces, all modeled after swamp creatures. Players then journey through the swamp, using their math skills to guide them. Funny swamp creatures keep kids laughing, math challenges test their proficiency, and shortcuts make it a mystery who will win in any given round. This game is kooky, but easy to play, and builds upon basic math functions and numerical skills. Young children will still be able to enjoy it, making it a solid tool for kids working their way through different math lessons in kindergarten and beyond. This set includes the game board, four game pieces, two number dice, and an operational dice (to determine what mathematical function players must perform). 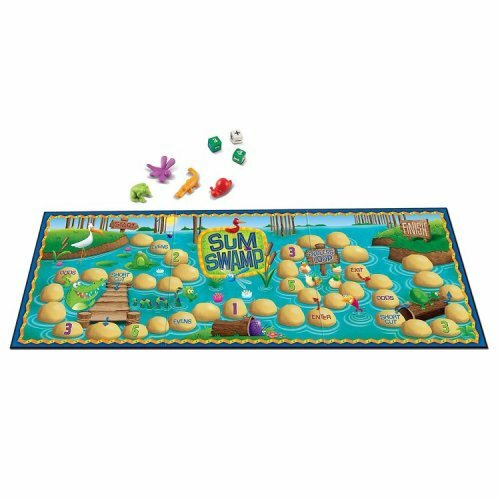 Sum Swamp is the winner of six awards, and ideal for two to four players ages five and up. 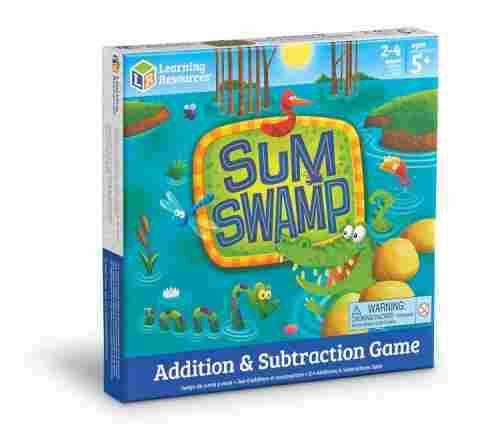 Learning Resources is a company that prides itself on making academia fun, and not letting kids get bogged down in boring, standard educational practices, and Sum Swamp is a wonderful testimony to their success. The Wooden Number Magnets provide an easy solution to practicing basic math operations without the need for whiteboards or even paper. It’s also helpful in refining kids’ fine motor skills. Math operations are very important concepts that all kids need to learn as much as possible. 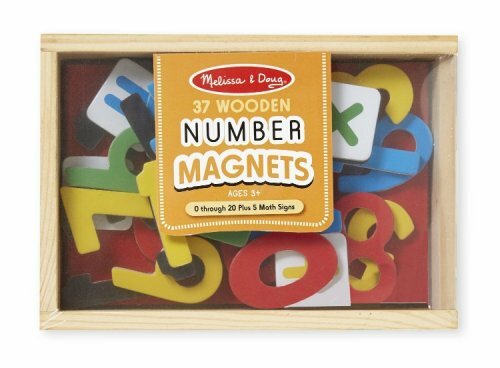 With Melissa & Doug’s 37 Wooden Number Magnets in a Box, this is now made even more fun. 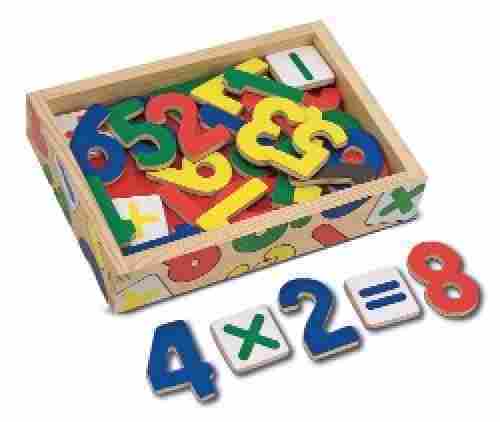 This is the best interactive learning tool for math that you can buy for your child! Some kids are better at being shown, some are better at writing things out. While both are beneficial, this can give them some more solid and tangible to work with, similar to using building blocks for construction. You build up the problem to be solved, so to speak! Melissa & Doug’s have made simple, traditional, and durable toys like this for 25 years that help strengthen the motor skills and analytic abilities of children; the product can turn math into something wondrous and a subject for imaginative play! 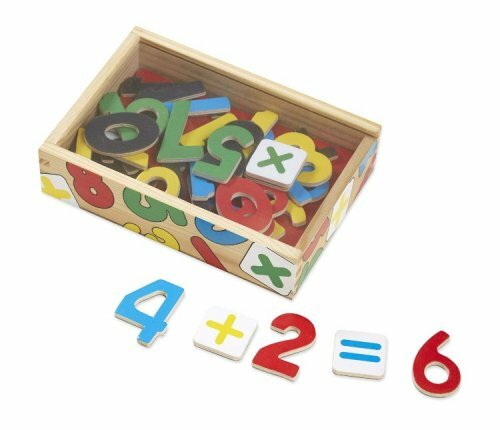 The package comes with math operators and the numbers 0 to 20, all made with high quality wood and embedded with superior-sticking magnets. The wooden figures are also generously-sized for children’s smaller hands. 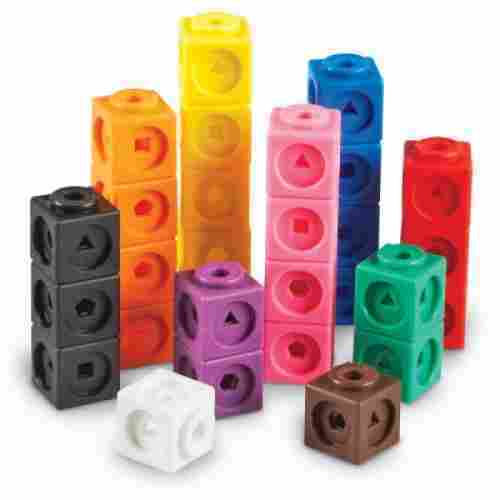 These math cubes provide tons of great benefits. They fit perfectly in the tiny hands and can easily be snapped together, which makes it easy for children to play independently. The cubes can be used as your child advances in math by changing how much each cube represents. If LEGO had a big uniblock, this would be what the Mathlink Cubes are. 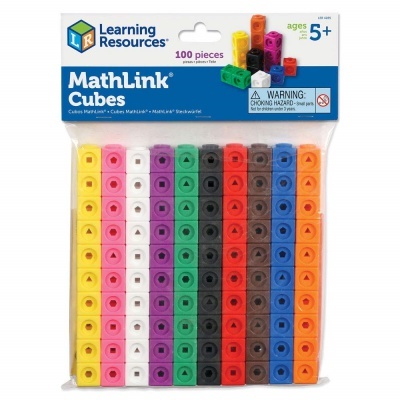 Kids will first love the building brick-like interlocking design of the Mathlink Cubes before they will begin appreciating its true value in counting and clustering them into groups. 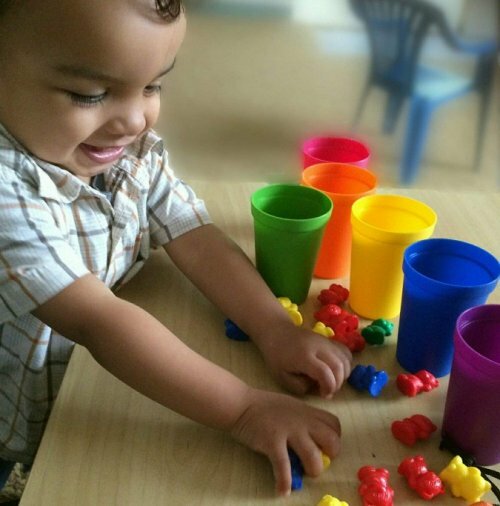 The cubes offer a variety of developmentally appropriate ways to play. Your child can improve their color-recognition skills by counting, stacking and sorting certain colored blocks. The blocks can grow with your child’s math skills as each block can represent the ones, fives, tens, etc. Your little one will grow more familiar with geometric shapes as each block has a different cut-out shape on each of its sides. The pieces easily snap together so your little one will have no trouble playing independently. Measuring in at ¾ inches, they are the perfect size for tiny hands. The unique design of the cubes allows for interlocking on all six sides. 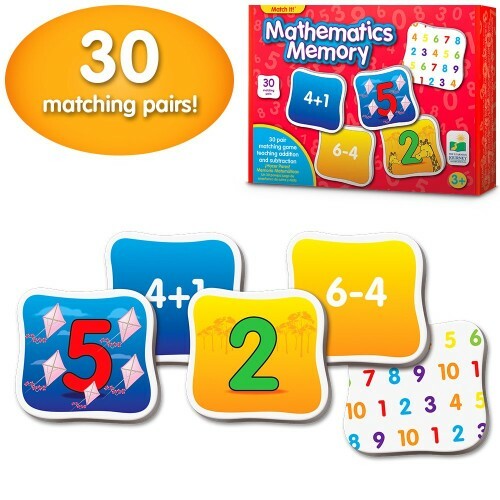 What’s more, each cube comes with geometric shape cutouts for additional patterning activities. This game is simple, straight-forward, and fun. It says five and up, but realistically, some younger children could play with a little help. Also, the space theme makes it extra cool and causes it to stand out in a sea of humdrum math board games. This game is out of this world! To start out with, we find your team deep in space, looking for space crystals, when suddenly the planet they’re mining begins to break apart. Players have to use their math skills to escape the planet and get home safely. With three specialty dice, players add and subtract numbers 0-9 to make it back to their getaway ship. This game also helps children to understand and assign numerical values (greater than, less than, equal to, etc. ), and to learn their odd and even numbers. Children often learn best through repetition and interactive play. This game allows kids to drill basic math principles while trying to save themselves from certain space-centric doom. 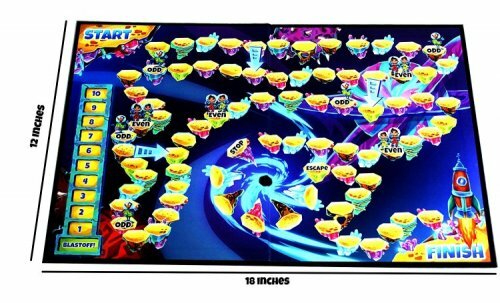 It can be played competitively or co-operatively, and it has several levels of difficulty so kids can keep playing even as their skills expand. You can decide whether you want to play in classic or co=op style, with rules that let your kids compete in a race to the finish line, or work together towards a common objective. 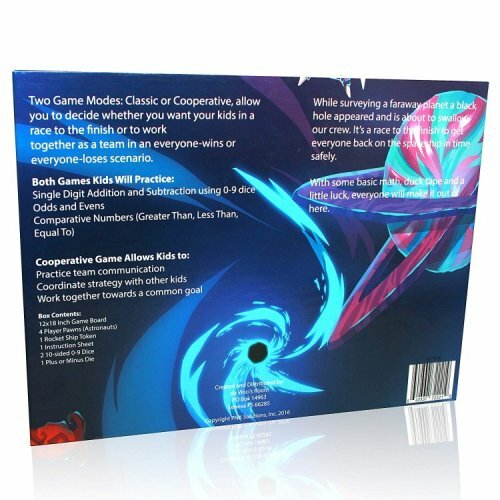 The co-operative play includes three difficulty levels so that children won’t outgrow the challenges of this game too quickly. Recommended for two to four players ages five and up, Sums in Space is an inter-galactic romp through important academic skills! 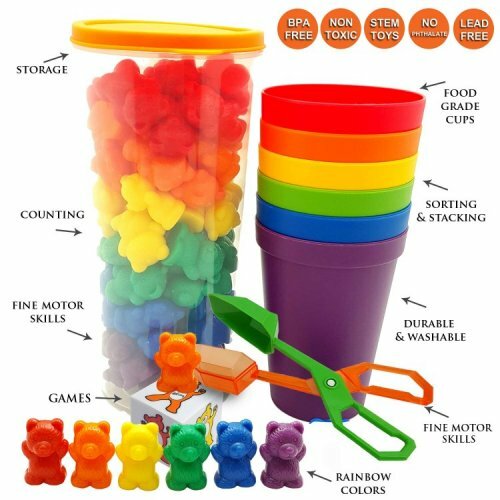 The 60 adorable bears will get your child excited to count, stack, and sort. Not only are these brightly colored bears super cute but they are also safe as they are nontoxic and BPA-free. While they are great for improving counting skills, they can be used in a variety of different ways. Your child is encouraged to get creative and develop their own way to play. It’s very rare to meet a kid who doesn’t like teddy bears. And it’s for this reason that Skoolzy’s Rainbow Counting Bears make a great tool for teaching math concepts to kids since it uses something that they love and adore. These adorable kid-friendly bears will not only have your child excited to play but they will also stimulate your child’s creativity and allow them to develop a variety of ways to play. 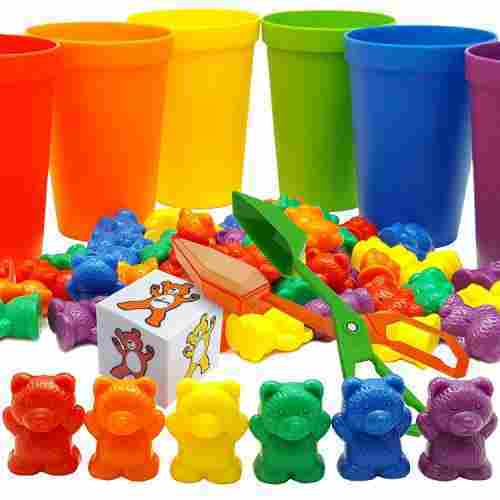 They can increase their color-recognition and counting skills as they put the colored bears in their corresponding cups. Gripping the bears, cups, and dice will improve their fine-motor skills and hand-eye coordination. Provide a challenge and encourage your child to count by twos, fours, or even fives. All of the pieces in this set are composed of a durable plastic that is nontoxic and free of BPA, lead, and phthalates. The miniature teddy bears come in six colors accompanied by matching sorting cups. The set comes with its own container for easy storage. The Multiplication Keys are a handy tool for encouraging kids to test their mathematics abilities while allowing them to gain mastery of the basics of multiplication. In an exciting twist of training and testing your kid’s multiplication skills, the Learning Wrap-Ups Multiplication Keys offer a really fun and unique way of mastering this particular math operation. 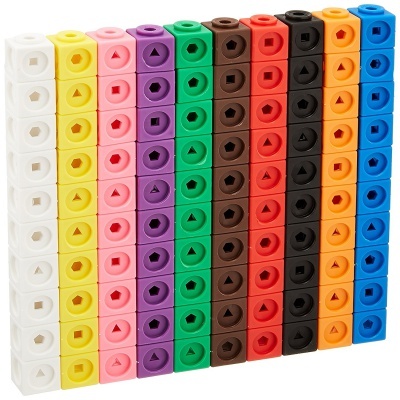 This is one of the best ways for tactile and kinesthetic learners to understand math! 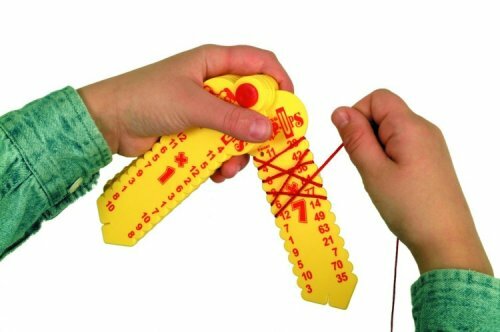 The weaving design makes it a great utility for fine motor skills and hand-eye coordination! 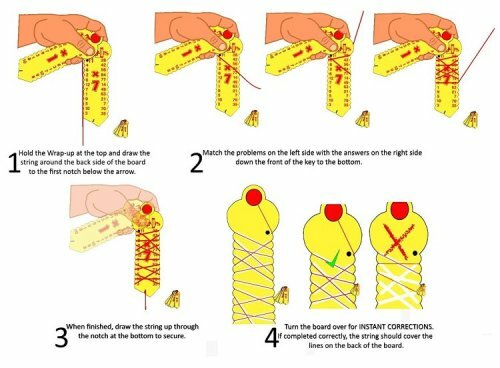 Not only this, it can prepare your child for handiwork that they might get into, such as arts and crafts! It’s also an easy visual way for parents to demonstrate the principles of math and their application. Factors on one side and products on the other are elegantly printed on each of these 10 plastic keys. Kids wound up a string from the factor side and connect it to the product on the other side. 9. The Learning Journey Match It! if you're into a fair amount of organization then this is the setup for your family. Easy to put away and take out again; this game comes organized very well right out of the box. 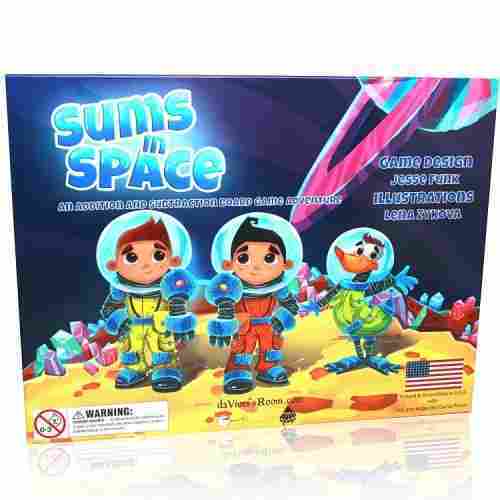 Help your kid learn the basics of mathematics in a fun and bright way. The game is super stimulating as it asks the players to find the matches and then the card to complete the equation. 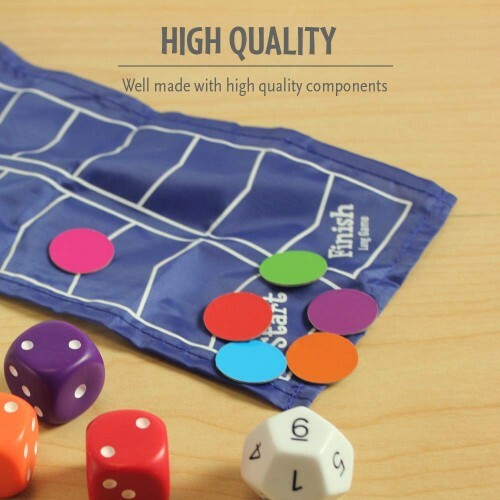 With bright colors on the pieces they make up a game that will not only help with math. 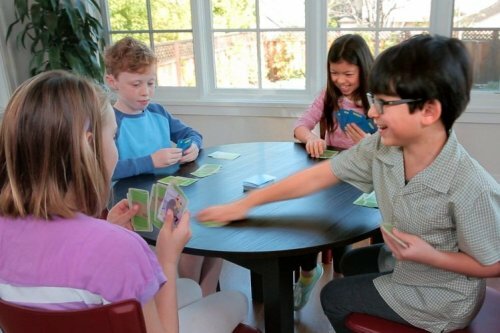 Most kids have played a matching game at least once in their lifetime. It's easy to introduce one new thing but multiple concepts at once prove to a bit more difficult. It's great that kids are already familiar with matching games. 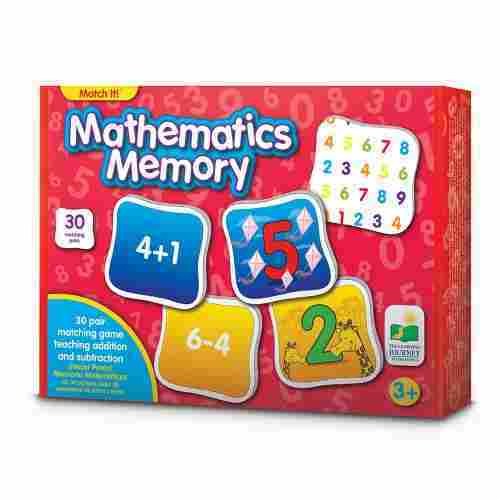 This game also helps develop memory, subtraction and addition is also what this game focuses on. You will have a great time playing this with your child or your kid and his friend can sit down for a round and have a blast challenging their minds. It’s a very entertaining and pretty hilarious way to stimulate children’s strategic thinking while building their basic math skills. You can always add fun to learning math by turning it into a game. 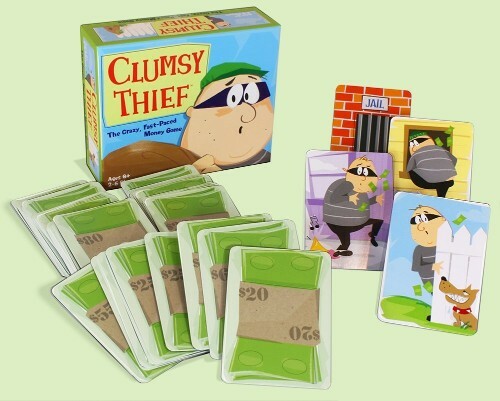 With the Clumsy Thief, you get three different types of cards that you, your kid, and the rest of the family will have to use wisely. This is one of the more fun and creative ways to teach math! Because, what better way to understand it than through finance!? When numbers are given the value to stuff -- which even a child can understand -- it takes on an entirely different meaning and perspective! It helps kids in developing strategic thinking, understanding consequence, and assessing the real value of things. The graphics on the cards are cute and dynamic to keep everyone engaged, smiling and rolling with laughter! Rack up the money to 100 and win the game. However, you’d have to be especially vigilant with Thief cards as these can cart away with your savings. Good thing there are Jail cards, too. The key is that the learning was never fun, easy, or relaxing! It was never about just learning for the sake of itself! It might've always been tied to an end-goal! This is main missing ingredient that we wanted to add for our products! The consensus is that kids learn better and more easily when it's a game! Also, when they don't have to! Our toys are as spacious and interactive as possible. Interactive, in regards to appealing to kids whose cognitive abilities might not be up to deeper abstractions. For these kids, we give them a more tactile platform on which to understand. These are also the best type of toys that can involve parents, guardians and teachers. The spaciousness of the toy involves giving it room to marinate in the subconscious and be learned more deeply--without pressure to learn, just coming naturally. You would be surprised at how easily kids can pick up on tools like an abacus! Much of the confusion around an abacus is in trying to calculate large financial projects and accounts on one! For some reason there’s the still fantasy of how all of Ancient Egypt and the Roman Empires were built and accounted for through the use of an abacus!While we can’t know any of that for sure, we definitely know that for the last 200 years it has not been the case! The use of the abacus for your child should simply take accounts and objects line for line on the frame of whatever is being counted. Also, it is meant to have the secondary purpose of giving your child sensory stimulus by gripping the bead and making the activity of counting a palpable experience. Math isn't as mystifying as a lot of us are made to feel that it is! Once this understanding, or misunderstanding, for adults has been cleared up, it becomes easier to make the most informed choice for children in how they develop mathematical skills, understanding and ability! Little is it known, but math is also closely tied to the development of children's dexterity and fine-motor skills. Once the brain develops an understanding of spatial orientation, it opens the door to more abstract awareness. It's found that the best way is to let young children handle the objects that provide the stimulation and, if possible, give the additional bonus of a sound--such as a rattle, the click of an interlocking part, or any sound that might give a sense of completion. Our panel of experts wants to make sure that only the best toys with the safest ratings make our lists. The toys with the safest designs that were constructed of solid materials used safe plastics and woods are listed. Safety is another area that we had to concern ourselves of. Some products required the use of batteries and as such it was imperative for us to ascertain electrical safety. The materials used in the construction or manufacture of the product were also evaluated. Most of these are made of plastic. It is crucial to ascertain that these do not contain physiologically harmful substances such as phthalates, PVC, or even BPA. This is especially true if the child who is going to play with it still has the tendency to put everything held by his or her hands straight into the mouth. 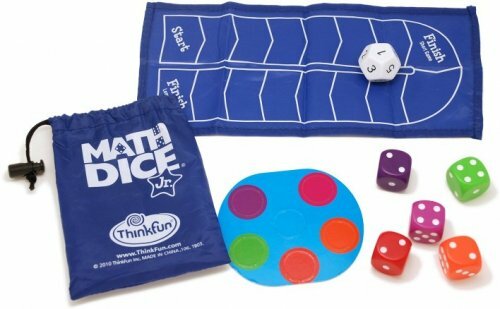 q: How can something like a dice game help my kid learn math? It appeals to the all-important aspect of play! Once you can get your kid having fun, engaged and fascinated with something, that opens the door to explaining what the dots and symbols represent. With time, it gets into the muscle memory and subconscious of the child! First, be the example by taking a few rolls and showing how it’s done, explaining the numbers as you go along. Your child will mirror this. 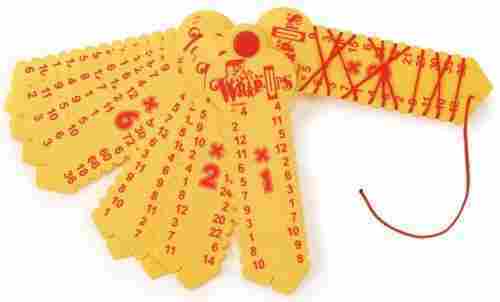 Then, count off the numbers, so they will eventually develop a pattern of recognition. With time, you will begin to be able to drill them with each roll of the dice, as they learn to call out the numbers as they see them! q: How does something like the car stacking toy help with math? It lays a very basic and general foundation. 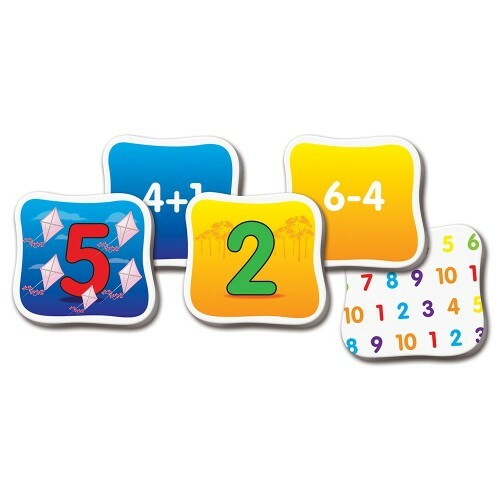 It helps in keeping learning fun and gives an easy and stress-free way of relating to numbers quite subtly. Most kids like a sense of accomplishment and progression. The car stacking activity presents this first and foremost. With the small knobs that your child will have to handle, already their neural pathways are being prepared deeper abstractions. This sense of building, stacking up, progression and the correlative colored numbers to the toy cars, all conspire to give your child an unforgettable lesson in math! q: Is it a good idea to introduce kids to math by counting money at this early of an age? We say the earlier the better! It is probably the most practical benefit that they will get out math as they grow up, no matter who they are or what they become! They will obviously mirror you and other adults in their environment, so they’ve already seen you handle money at the store or the ATM. Why not encourage them? We want each generation to be as savvy as possible! Savvier than the one preceding! q: Many of these toys are very concise, what are some creative ways to branch out with them? Quite a few of the manufacturers offer complementary sets or accessories that you can use along with whatever set you purchase. 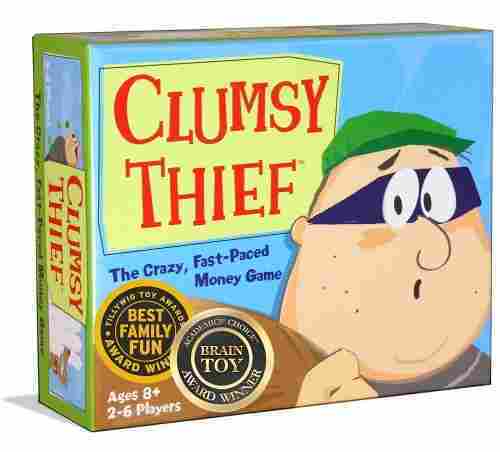 Also, something like the Counting Cookies Jar can possibly be combined with the Clumsy Thief game and the Stacking Cars! It’s all up to you and whatever storyline you want to create! This is the best part about interactive game--that the entire family can join in on! q: Is it common for many math toys to also be choking hazards? Unfortunately, there is some inherent risk when dealing with small parts that develop manual dexterity and motor skills in children. The nature of these tools is about helping to facilitate discernment and differentiation. With the activities of building, stacking, sorting and separating, there will be small parts for small hands to handle. This is why with all of our products we strongly encourage continual adult supervision and participation.